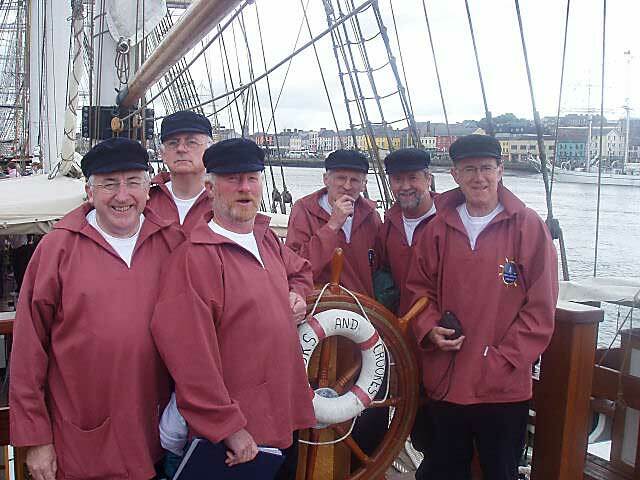 From left to right: Declan McGrath, Frankie Bowe, Pat Hennessy, John Quann, Edward McBride, Eddie Deevy, Tony Barden, Pat Sheridan, Alan Deevy, Joe Phelan, Tim Sherman, Colm Long and Michael Hearne. 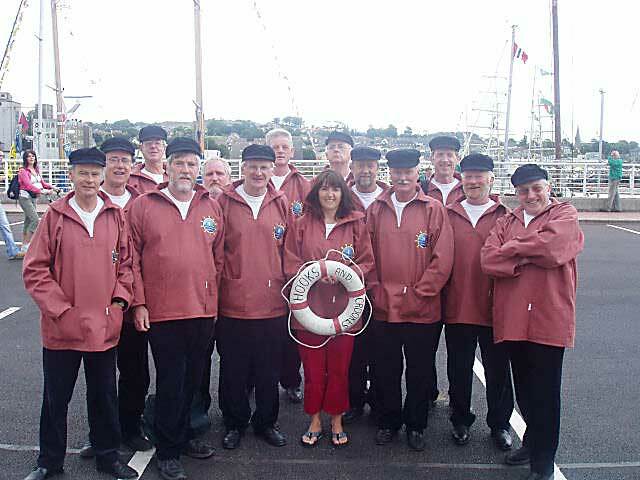 Our first performance was before an invited audience in the award-winning Granary Museum of Treasurers here in our home port of Waterford in April 2005. 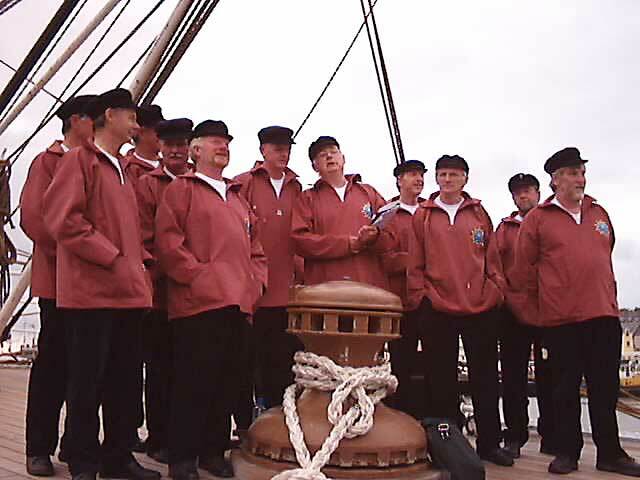 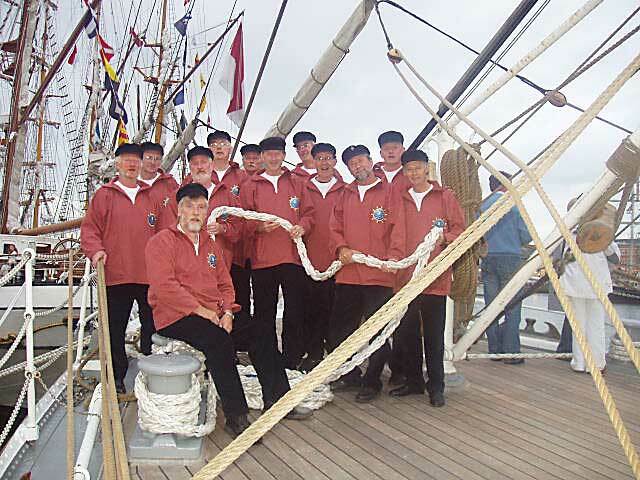 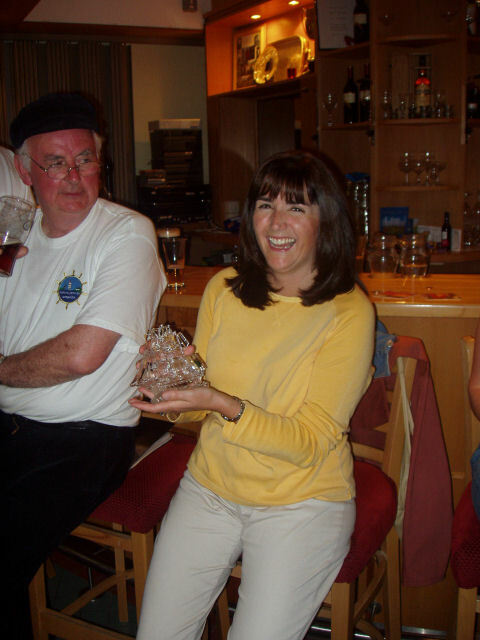 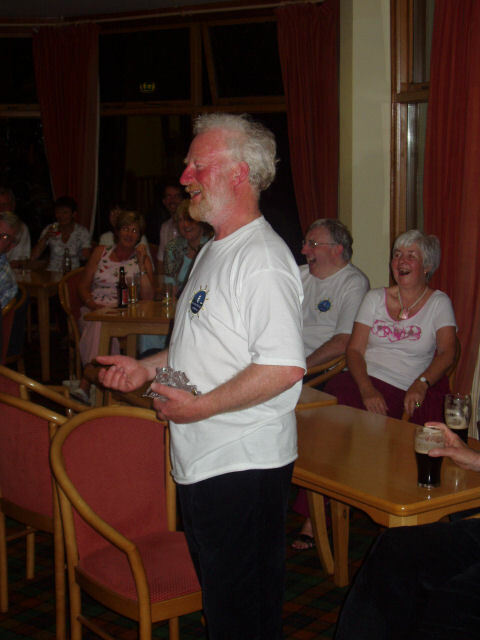 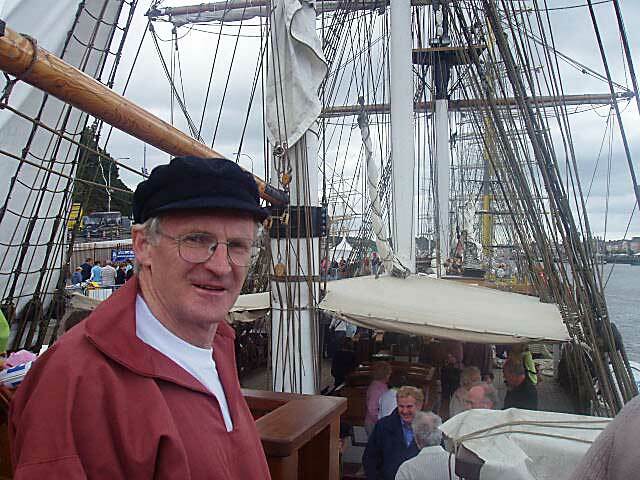 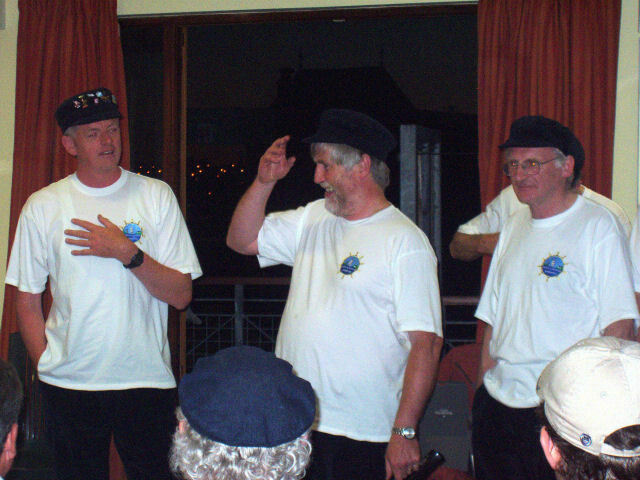 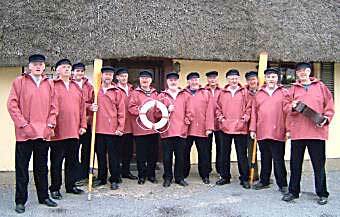 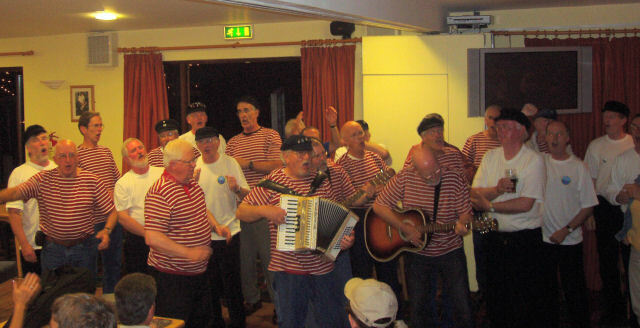 Our first voyage culminated in a whirlwind extravaganza of shanty singing during the 4 day festival surrounding the beginning of the Tall Ships Race in Waterford City in July 2005. 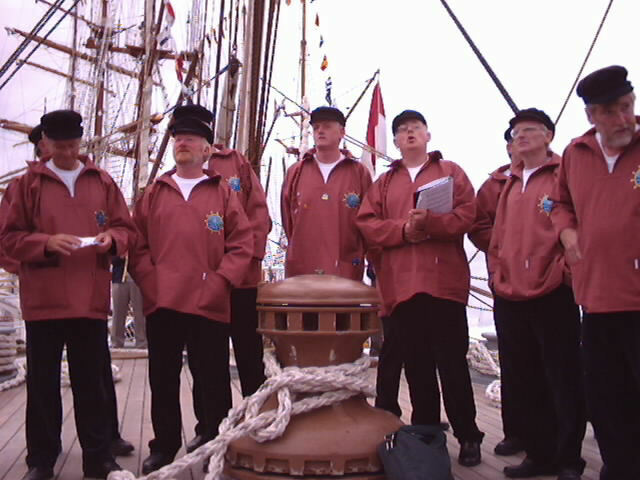 We performed on board a number of the Tall Ships including the Dunbrody, the Christian Radich, and the Mir. 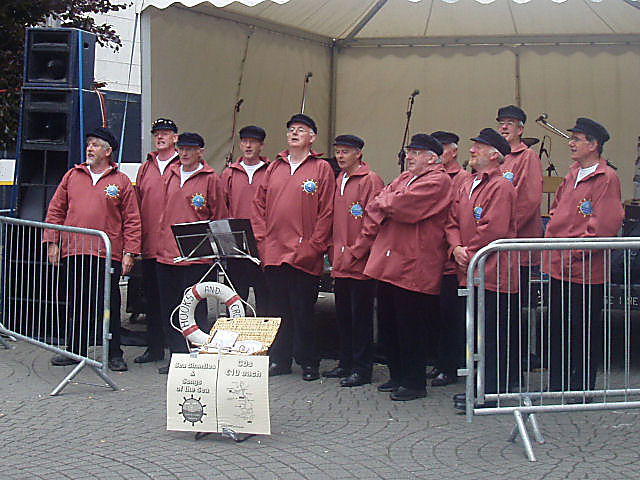 Other performances were in City Hall and on the Quay side. 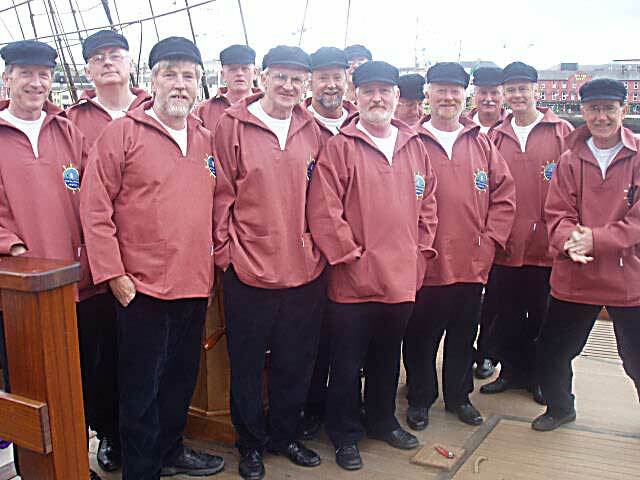 We were featured in Nationwide on RTE1 (the national television service), in addition to live performances on Sea Scapes on Radio 1 and Lyric FM.